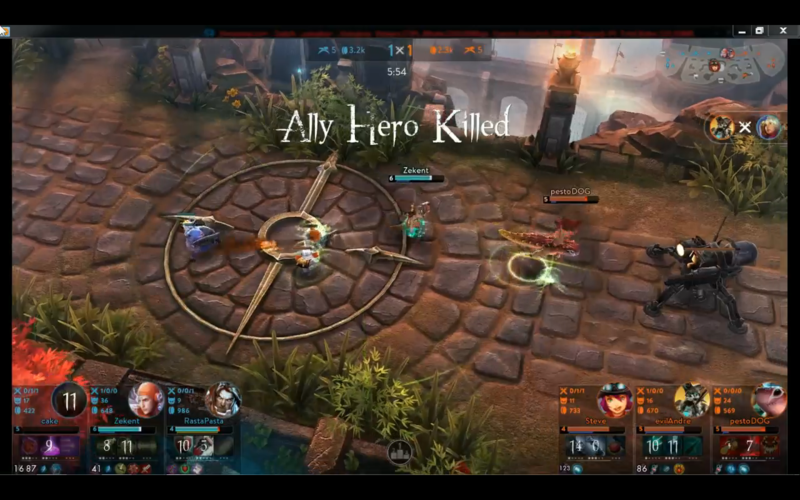 Vox was revealed to be a sniper, which comes as surprise to many of us who expected a melee carry. He can be built weapon for strong single target damage or crystal for AoE damage. His Heroic Perk, Julia’s Song, grants his basic attacks a crystal component and gives him a health barrier for basic attacking. Several of his abilities apply the effect Resonance to targets allowing Vox’s basic attacks to proc on them and bounce between enemies. His A slot ability, Sonic Zoom, is a blink ability that also launches two attacks at a nearby enemy. It also functions as an attack reset, and when overdriven applies resonance. His B slot, Pulse, sends out an AoE wave applying resonances, while slowing and revealing enemies. Finally, his Ultimate, Wait for It, shoots out a line that applies resonance. 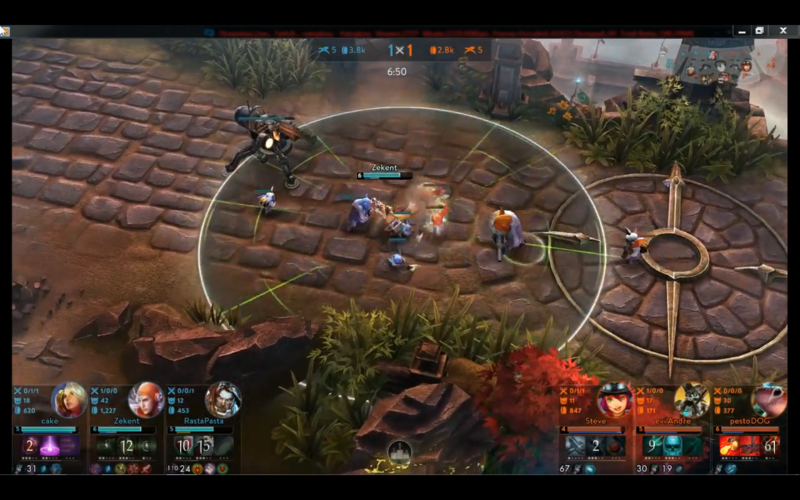 After a brief wait, Vox launches a shockwave along the path damaging and silencing enemies. So aside from Vox the developers also showed off a lot of the new stuff coming in 1.3. 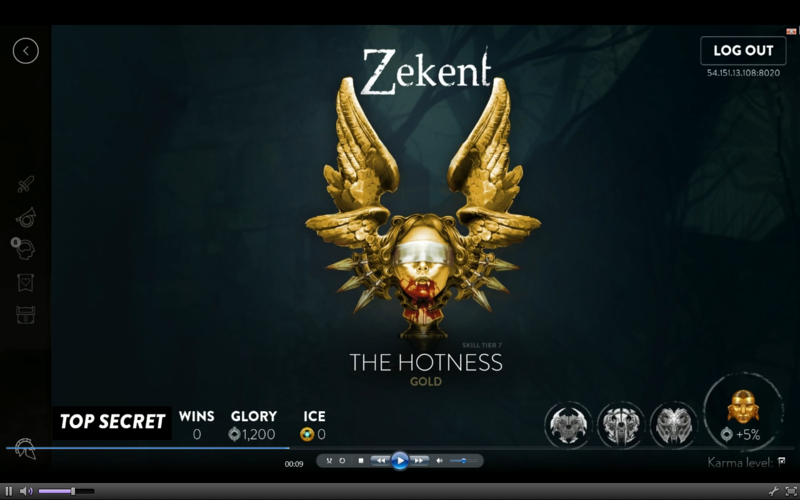 Such as the newly remodeled profile screen, focusing on skill tier more than Karma now. It also now indicates how close you are to progressing to the next skill tier with bronze/silver/gold rankings. Another awesome feature is the brand new Pot of Gold and Level Juice items, which are exclusive to practice mode and give the player more gold and XP allowing faster build testing. There were also some minor UI tweaks: creep score is now displayed in the top of the screen, the end game screen has been slightly tweaked, as has spectator mode from when it was last shown. 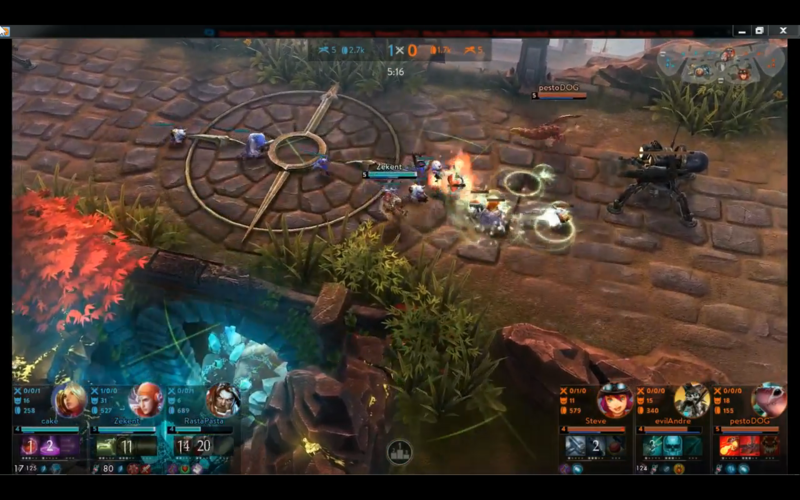 Notably, you can now pick your intended position in the hero select screen from Lane/Jungle/Roam. While the developers were very vague about the balance changes, we do know the following: Krul has been buffed, Koshka has been nerfed, Adagio has been nerfed (specifically WP Adagio), Petal nerfed (specifically WP Petal). Celeste has received some quality-of-life improvements including improved accuracy on Solar Storm and allowing the ultimate to bypass minions ignoring them, it also travels slower. They also mentioned changes to Heliogenesis (it looks better now as well). 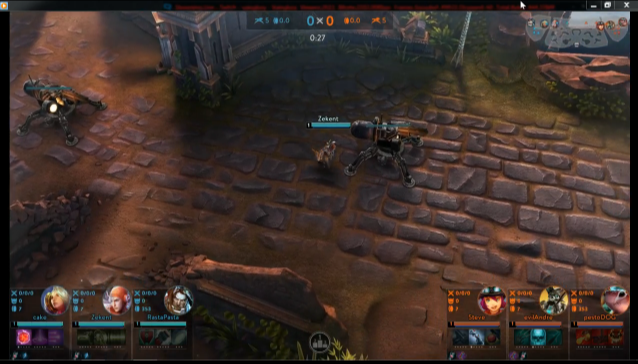 Joule and Taka are under review for buffs. Finally, Skaarf is recieving “changes.” PlayoffBeard intentionally didn’t say wether this was a nerf or buff to troll Skaarf player, Skipper. Another big thing: Spectator mode will be in the next update in a limited form. Private matches will have two slots for spectators. 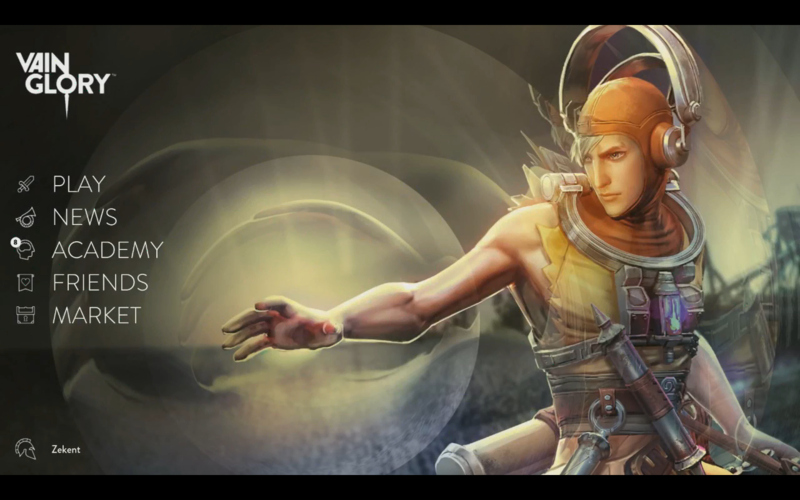 They also mentioned that they’d be doing an event in Tokyo on April 8th for the launch of Vainglory in Japan. They have 15 slots available for players wanting to attend. The Catherine stun/Roadie Run bug is being looked at, but will take a considerable amount of time to fix and may not be fixed until they have time to devote an entire update to bug fixes and improvements. I hope everyone is as excited for these changes as I am. This is looking like a rather awesome update. It should be dropping sometime this week, though it hard to know for sure. Splash screen for the Vox update. Some words may be misspelled.